After our first stop in Lockhart at Black’s Barbecue, we made our way to Kreuz and Smitty’s. 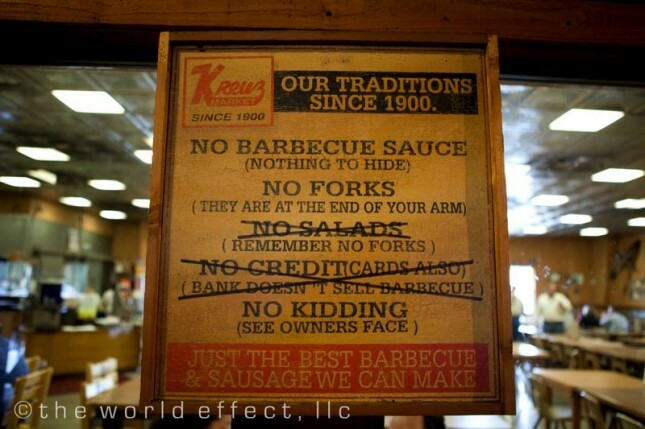 Kreuz Market has been around since 1900 and sticks strong to the Texas fundamentals of BBQ. 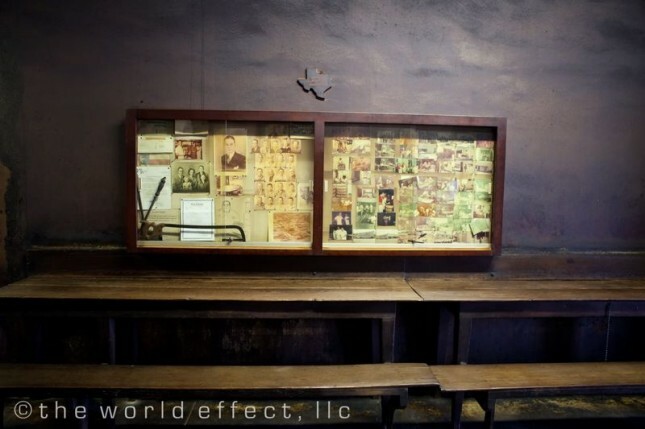 In 1990, Kreuz relocated to a massive new building on N. Colorado Street (183). 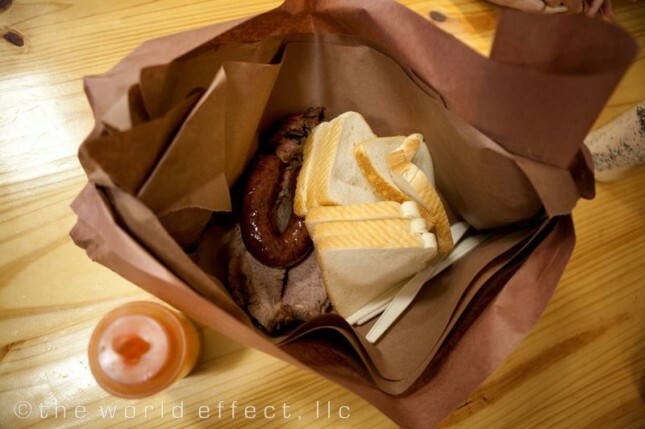 They still serve their great brisket and sausage up in brown butcher paper with slices of white bread. You can also get a side of beans, slice of cheddar cheese, and an avocado if you would like but don’t ask for barbecue sauce or a fork! My mom, sister, and niece voted that Kreuz has the best brisket and beans in Lockhart… but I am still really partial to Black’s (but don’t tell my mom). 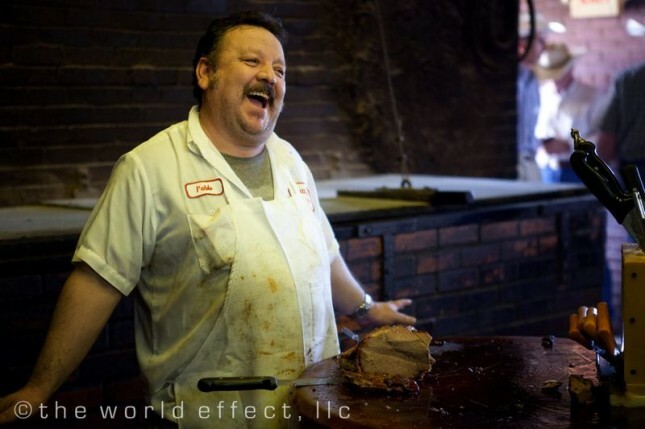 When I told you in the last post that BBQ is almost like a religion in Texas, I was serious. 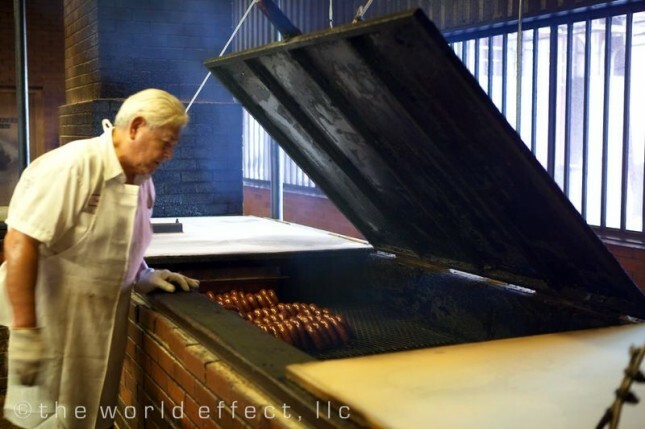 Schmidt family is an example of how deep the passion runs. 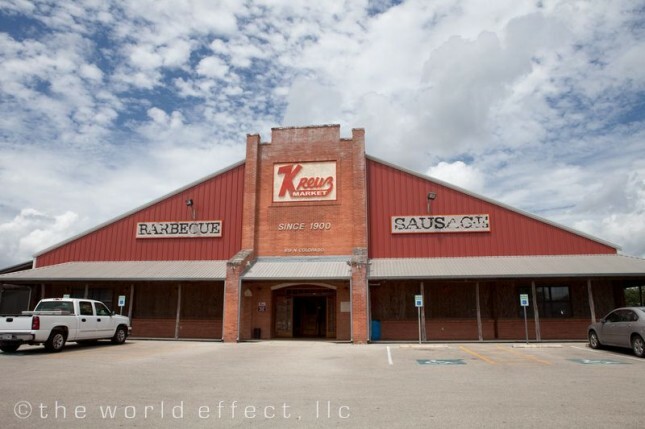 Kreuz Market has been owned and operated by the Schmidt family for the last 50 yrs. 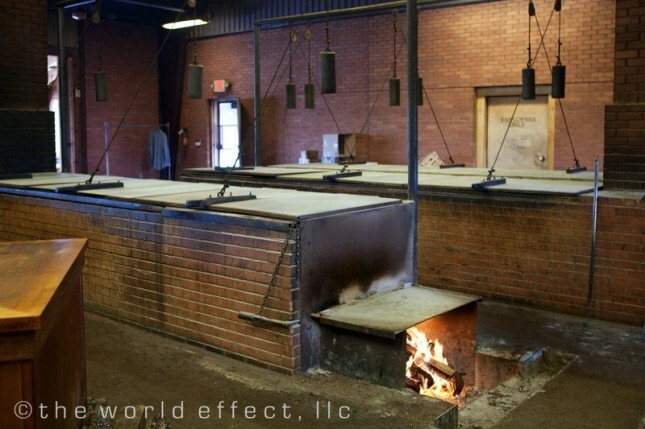 The smokehouse got a little hotter in the late 90′s when the son and daughter of Eddie “Smitty” Schmidt, Kreuz Market owner, had a falling out over BBQ (or so the grape vine says). So in 1999, Nina Schmidt opened the original location of Kreuz again but under the name of Smitty’s Market and the brother now runs Kreuz. I am not sure if all the drama is true or not but it does add to a level of interest. 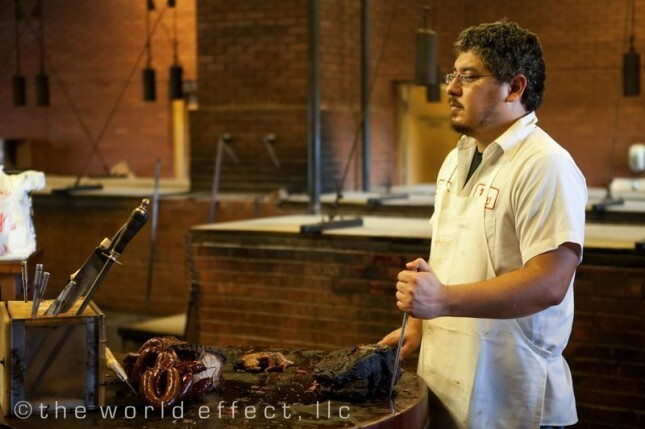 Now Kreuz and Smitty’s are famous for more than just their food. 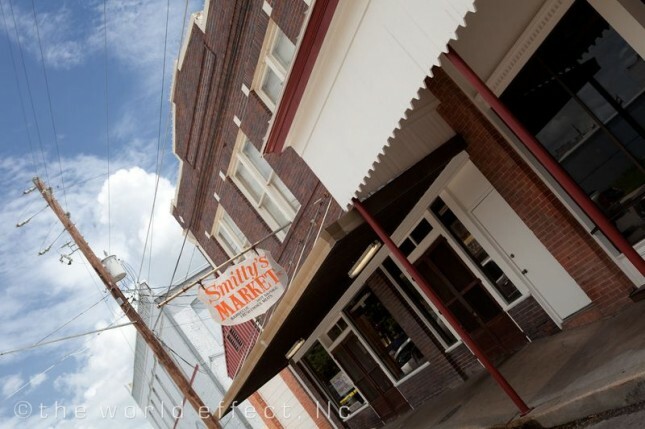 It is really nice to see the old building still up and running as Smitty’s Market. Inside the dining area it feels like what you would want in a small town restaurant. The communal tables are filled with smiling faces while the air buzzing with laughter and little town gossip. I hate to say this but while the decor is great, the barbecue was my least favorite. This is my opinion. I suggest you should try them and decide for yourself. 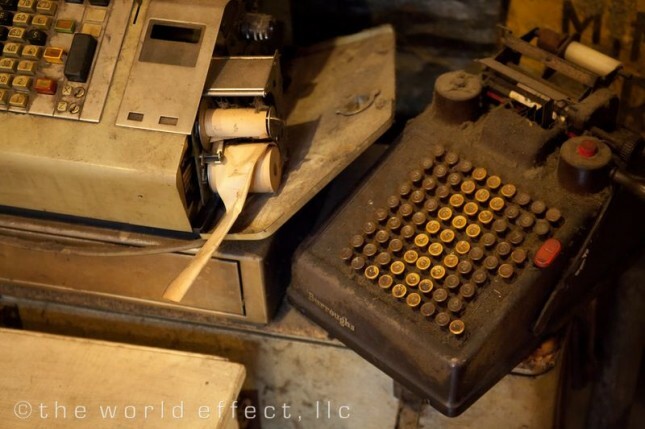 If you have done the math already. 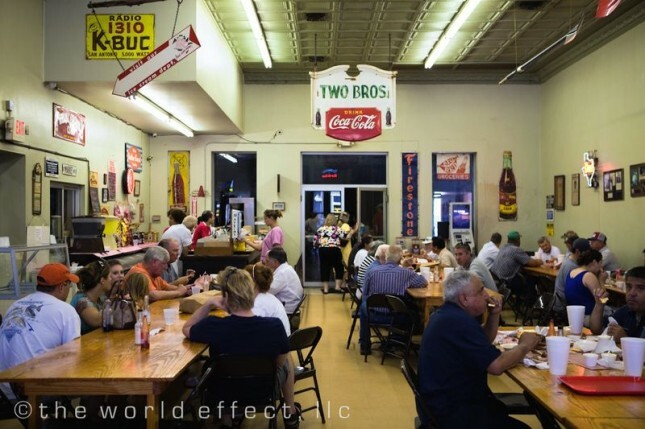 I have only written about 3 restaurants when there are 4 in Lockhart. Yes, we did fall short. We did not make it to Chisholm Trail. My mom justified it by saying that they are the new kids in town, as of 1978 (Smitty’s is in the grandfather clause because of family issues). My sister, niece, and I all agree that we failed because of lack of willpower. I don’t think we understand what “sampling” really means. 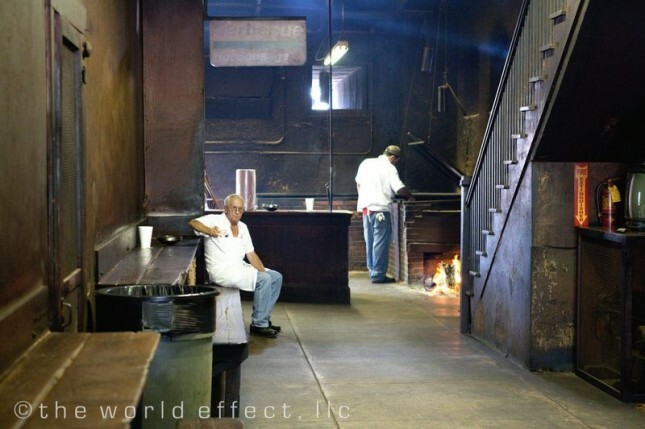 So be better than us and make it to all 4 Lockhart BBQ restaurants. 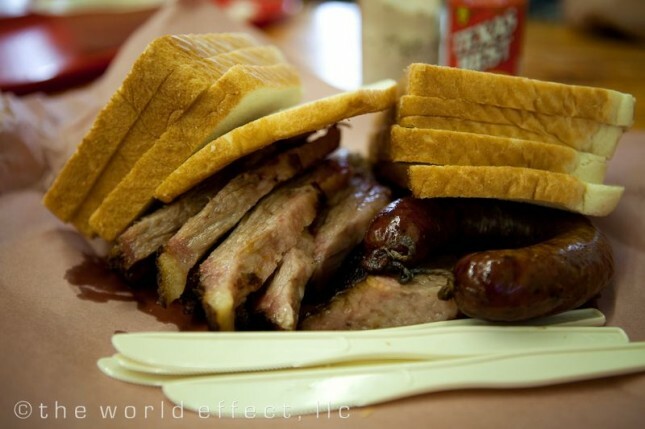 Next post is about my family history with Luling City Barbecue… for the best BBQ in Texas!! !